I flew into Perth just two days shy of my one year anniversary in Australia. Much like on that first day, I found myself foggy-eyed in an international airport. I got to my hostel, checked in and set out to explore. This time around, I was much more successful – I don’t fall asleep at 4:30pm. I drop in to a free tour at the Art Gallery of Western Australia (AGWA) and afterwards bought myself a Smartrider transit pass. I walk around Northbridge, an area where an established Chinese community is fending off hip nightclubs and bespoke bicycle cafes. Vintage stores and hummus parlours slowly peter off walking up William Street. 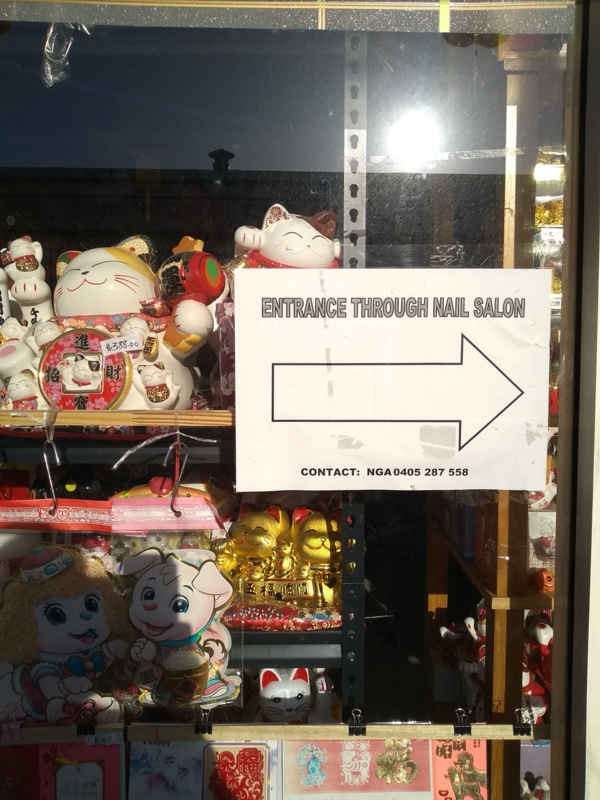 Enter through Nail Salon, Northbridge, 2018. The following day I walk around the CBD, through the London arcade to Elizabeth Quay. 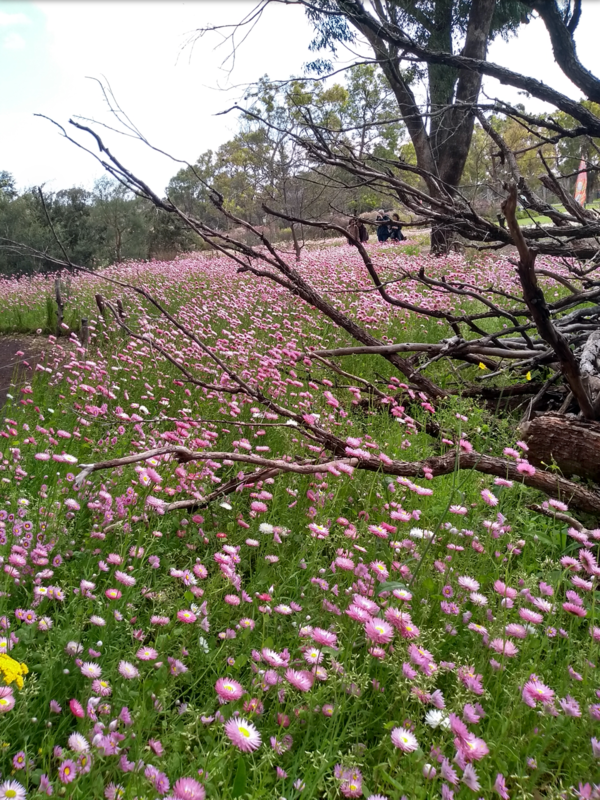 I made my way over to Kings Park Botanical Gardens and learn there’s a wiildflower festival on. In the park there’s a bridge made of plexiglass that suspends visitors above the treetops. I try and fail to not spend money in the gift shop. Wildflowers, Kings Park Botanical Garden, Perth. 2018. 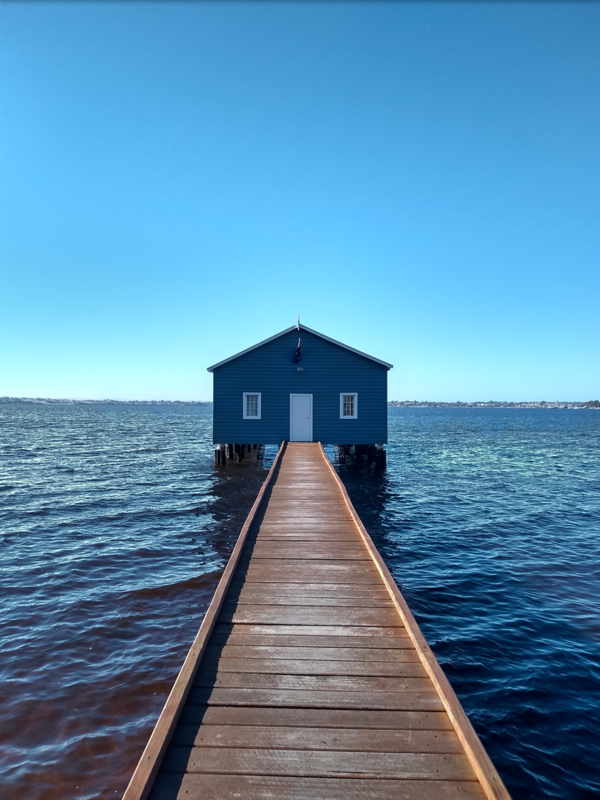 Blue boat house, Perth. 2018. On the anniversary of my arrival in Oz, I wake up early and head to the blue beach house, an Instagram staple. There’s a couple having a photoshoot for their pregnancy announcement. A tour bus pulls up as I leave. I hop to Cottesloe beach, a primo-fancy community. There are dozens of surfers in the water. In the afternoon I take the train line to Fremantle and see the harbour in full swing. I find a shop that sells clip-on earrings and buy a pair. I stop for late lunch and check out the WA Shipwreck Museum (free), which I can’t recommend enough. The Batavia shipwreck is on display. It had been underwater for three hundred years before being excavated. Australia was once known as New Holland. 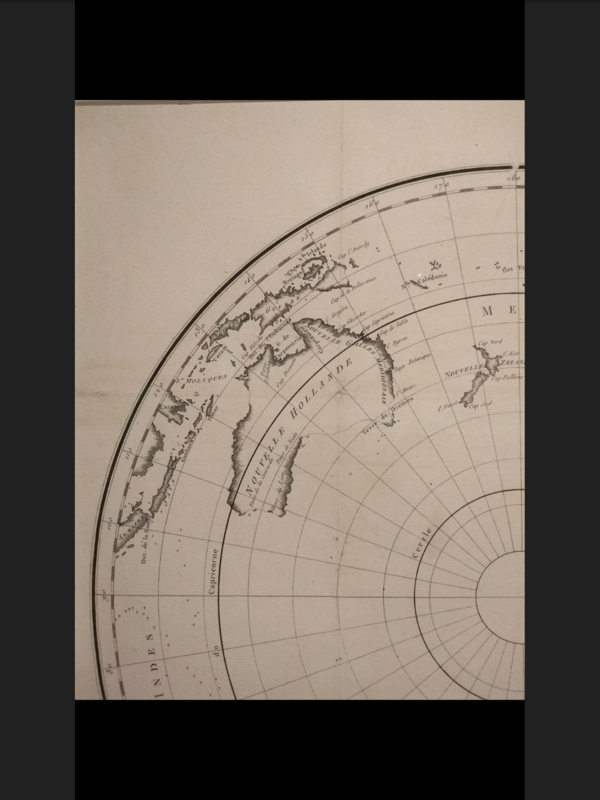 The WA coastline was a mysterous blank part of the world map when all of Canada had been charted out. On Sunday, I set myself a challenge. I’ve noticed when I’m walking new places my nose is buried in my phone. I write and follow instructions for a 5km walk. I discover City Farm Cafe, an organic inner city farm beside the freeway. I share my walk with dozens of families and pets out for stroll in the sun. The new bridge to the footy stadium just opened and tradies are working. People are taking pictures as they cross the bridge for the first time. I lose my jumper. I call my dad and we talk about quokkas. I walk to the Perth Mint and watch a gold pour. I find the City Library, one of the best public library spaces I’ve seen. I buy and make dinner. The largest gold nuggets in the world have been found in WA. The largest single piece in existence was found by a man going for a walk who thought his metal detector had broken. The largest nugget ever was discovered by a kid running and tripping over it sticking out of the ground on his family farm. I spend Monday cursing about this hostel not having Wifi. I go for a quick walk to Mary Street Bakery for donuts and detour through Hyde Park to listen to a podcast. I call my dad. I post interviews on my blog with some key people from the past year. 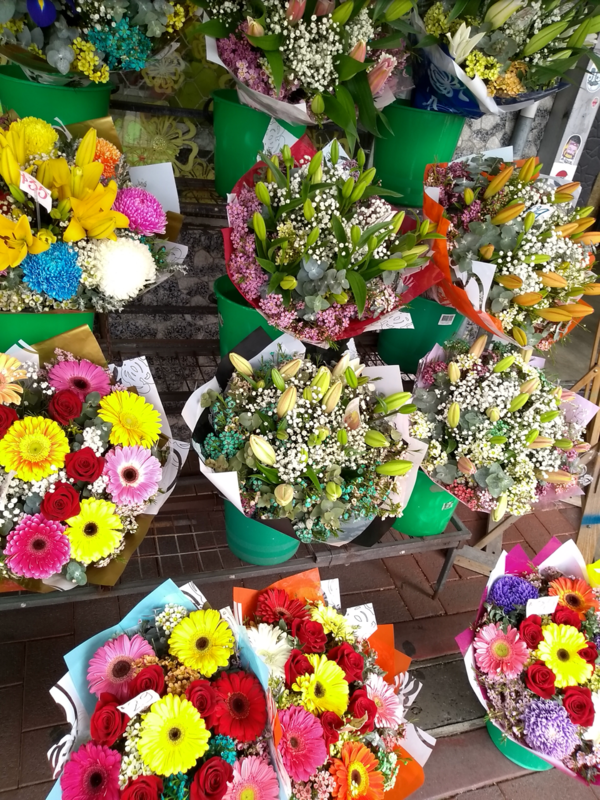 Mary St Florist, Highgate. 2018. On the 18th, I go swimming in Beatty park in one of two outdoor pools. The weather has warmed every day since I’ve been here. I go to a wood fire Italian place for lunch. Table for one? I do some window shopping. 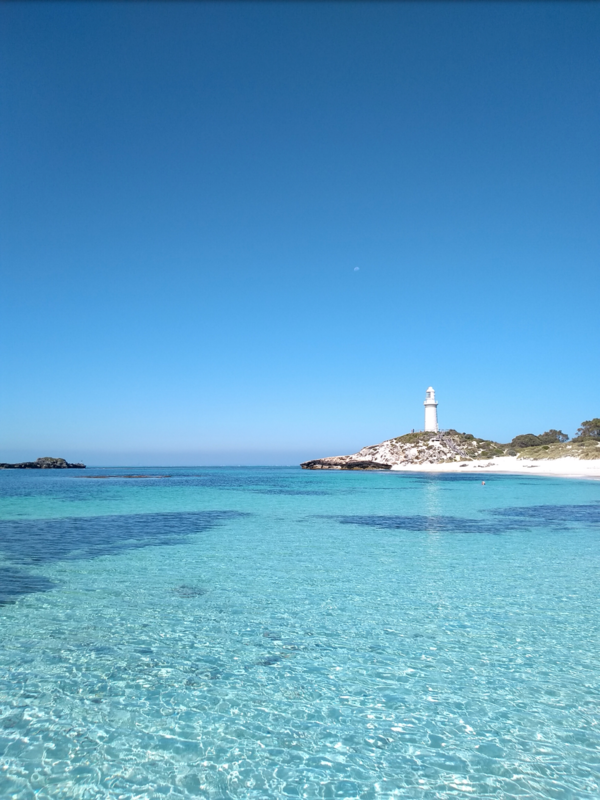 In the evening I book a last second ferry to Rottnest Island. 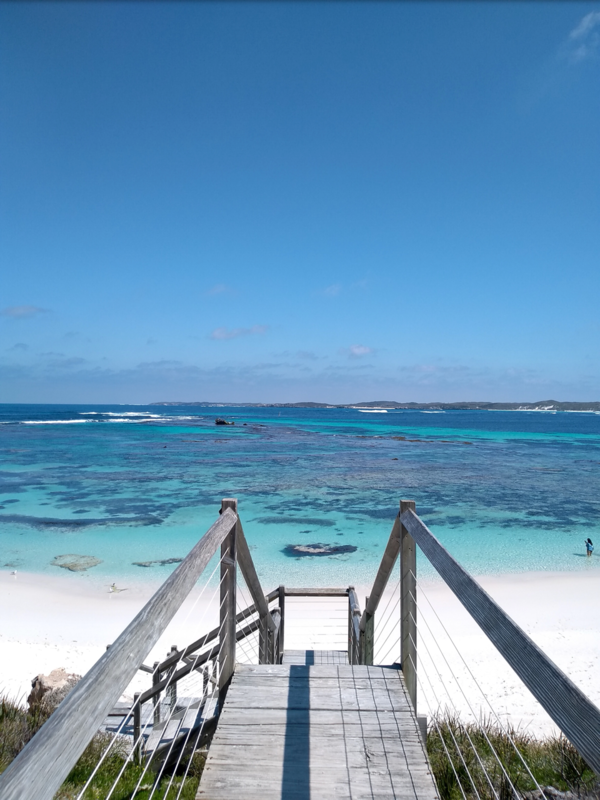 Rottnest island is beautiful. The water is a clear, bright blue. In places the waves roll like moving mountains; in others it trickles into shallow pools. At my first beach stop I realize every penny for the flight here was worth it. I try to take a photo with a quokka. I see fur seals bobbing in the water. I see skinks and Ofsprey nests and Comorans. My final hours I spend at the Bathurst lighthouse. I don’t want to leave. Thursday I wake up early and head to the library. I brainstorm and have an inspirational conversation with a friends out traveling to Broome. I have fish and chips at the beach. I send a letter at the post office. I have a caramel-fudge Sunday from Macca’s.